Watsonville resident Natalia Grossman, 11, won the female youth-C division in the American Bouldering Series Regional Championship for Northern California at City Beach Rock Club in Fremont on Sunday. Grossman dominated her division, climbing to the win and 100 points in the USA Climbing-sanctioned event. Jenny Jiang of Reno, Nevada, was second for the Sierra Climbing Team [90 points] and Kathryn Garcia of Portola Valley was third for the Planet Granite team [80 points]. Grossman climbs for Zero Gravity under Scott Jenerik. This marks her third-straight win in ABS action. Results included in this report are from the USA Climbing website. Santa Cruz resident and Australia native Paul Matthews, a professional triathlete, took second place in the Ironman Arizona over the weekend in Tempe, Ariz.
Matthews finished the 2.4-mile swim in 48 minutes, 27 seconds, the 112-mile bike in 4:24:31, and the marathon in 2:48:27 for an 8:04:58 finish — just less than two minutes behind winner Nils Frommhold of Germany [8:03:13]. 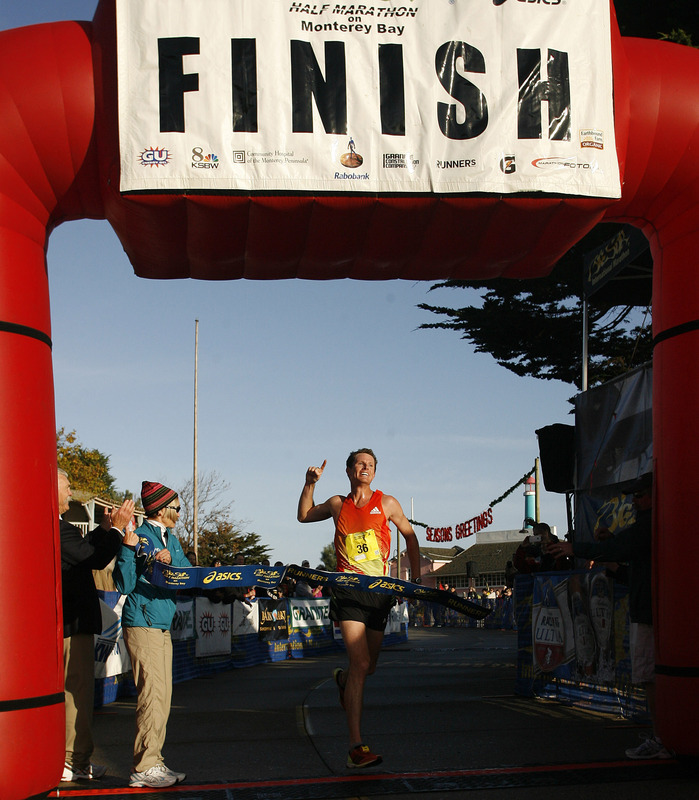 TJ Tollakson of Des Moines, Iowa, rounded out the top three [8:07:36]. Also from Santa Cruz County, Santa Cruz’s Cindy Padilla, 37, finished in 13:11:08 with a division rank of 55; Watsonville’s Rachel Montoya, 36, finished in 13:36:30 with a division rank of 80; Santa Cruz’s Johan Schimmel, 49, finished in 11:21:39 with a division rank of 82; Scotts Valley’s Elle Washburn, 40, finished in 14:00:00 with a division rank of 83; Scotts Valley’s Kevin Abruzzini, 46, finished in 13:39:43 with a division rank of 235; Portland’s Nick Moless, 34 and a Santa Cruz native, finished in 12:10:00 with a division rank of 159. Results included in this report are from the Ironman website. Note: Know of someone else from the Santa Cruz area who competed? Mention them in the comments and I’ll add their results to this post! Santa Cruz resident Sebastian Villanueva, 16, and Watsonville resident Natalia Grossman, 11, won their respective divisions of USA Climbing‘s American Bouldering Series Local 14 event at Pacific Edge Climbing Gym on Oct. 13. Villanueva, who is on the Pacific Edge team coached by Bill Tang, had a score of 26,965 points to take the male junior division by a margin of just five points. Andy Lamb, 18, of Lexington, Mass., placed second for Team Waimea, and Aaron Splady, 17, of Berkeley placed third with 16,995 points for Zero Gravity. Grossman, who also competes with Zero Gravity and is coached by Scot Jenerik, won the female youth-C division with 18,070 points. Saratoga’s Niamh Moore [Planet Granite] was second with 15,775 points and Portola Valley’s Kathryn Garcia [Planet Granite] was third with 15,280 points. Watsonville’s Andy Jacques-Maynes won the men’s elite Cat 1/2/3/4 race and two other riders from Santa Cruz County also earned wins in the Central Coast Cyclocross Series race No. 5 at Manzanita Park in Prunedale on Sunday. Jacques-Maynes [Cal Giant/Specialized] finished nine laps in 1 hour, 54 seconds for the win. He was followed by Santa Cruz’s Scott Chapin [Bicycleblue book/HRS/Rocklobster] in second place in 1:01:03 and Santa Cruz’s Aaron Bradford [Bicycleblue book/HRS/Rocklobster] in third in 1:03:12. Bonny Doon’s Justin Robinson was successful in the master men’s 35-plus A Cat 1/2/3/4 division, winning with seven laps in 49:30. Robinson [Cal Giant] was followed by Aptos’ Todd Hoefer, who was second in 49:33, and LaFayette’s Gannon Myall, who was third in 50:15. Santa Cruz’s Chance Tiner [SCJC] also won the junior men’s 15-18 age division, going uncontested for five laps in 44:45. Results included in this report are from the CCCX website. The next CCCX race, which doubles as the district championships, is scheduled for Dec. 29-30 also at Manzanita Park. The event will also feature a “Tianguis Graits” (free market) where farmworkers and homeless can take home up to six items of clothing, household items, etc. free of charge. A turquoise Fuji road bike will be raffled off: $5 per ticket. All of the proceeds from this event support the Bike Shack program. 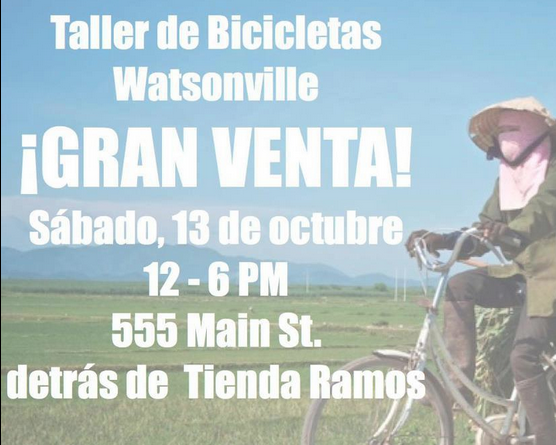 The Watsonville Bike Shack is 100% community driven and sustained. Bike Shack’s normal operating hours are Tuesdays and Thursdays from 4 p.m. to 6 p.m., and Fridays at the Farmers’ Market. We also offer service hours to youth who want to learn more about bike maintenance and repair, and to work in exchange for a bike, or get credit for high school graduation or community hours towards probation. At the Bike Shack, youth learn useful skills, focusing their energy on something creative and productive, and get mentoring from lead mechanics who share similar life stories. When: Saturday, October 13 12- 6 p.m.
Where: at Warehouse located behind the Ramos Furniture Store at 555 Main St. The first event is the second annual Monterey Bay Youth Outdoor Day at the Santa Cruz County Fairgrounds on Saturday, September 22, 10 a.m.- 4 p.m.
Time: 10:00 a.m. – 4 p.m. The second event is Take a Kid Mountain Biking Day in Toro Park, Monterey on Saturday, October 6, 10 a.m. – 2 p.m. This is a great event sponsored by MORCA and IMBA designed to expose kids to mountain biking. Our hope is to bring some of veteran kid riders and hopefully attract some new kids to come along for this event. Where: Toro Park near the Quail Meadows day use area. Click here for park information. Cost: The event is free but there is an $8 entrance fee to Toro Park if you drive in. On site registration will start at 10am and continue throughout the event. All participants must sign a waiver and helmets are required (NO EXCEPTIONS!!!). Activities include basic bike safety, a skills course, trail rides for all ages, prizes and a barbeque. 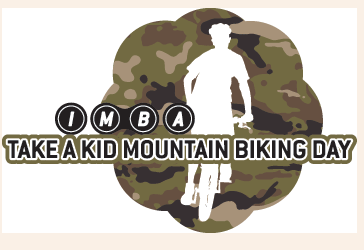 This local event is part of a nationwide celebration known as “Take-A-Kid-Mountain-Biking Day,” supported by IMBA. The event purpose is to provide a means for kids and their families to enjoy local trails together. The Monterey County Parks Department will allow bikes on certain Toro Park trails that are usually closed so beginners can enjoy a safe ride. Local bike shops have donated products along with contributions from IMBA and Cliffbar. Participants will need to bring their own bikes and helmets (MORCA has a few extra kids’ helmets to loan and some demo bikes will be available on a first come first served basis). Bike gloves are recommended, but not required. Parents are encouraged to ride with their children. This is a great opportunity to pass your passion for pedaling on to kids.